I've been asked a lot of questions lately. Some related to past blog posts and some that are just random. So, let's answer them shall we?! The first one, while discussing home life one day with a co-worker we got on the topic of life hacks. We've all seen random things out there, little tips and tricks like using shower curtain loops and a hanger to hang scarves. You've seen that idea right? If not, Google it. It's brilliant. Anyway, I was asked about my favorite life hacks. Here are three things that change my life - I'm not kidding either! Q: What are your favorite life hacks or things you use around your house that you love! 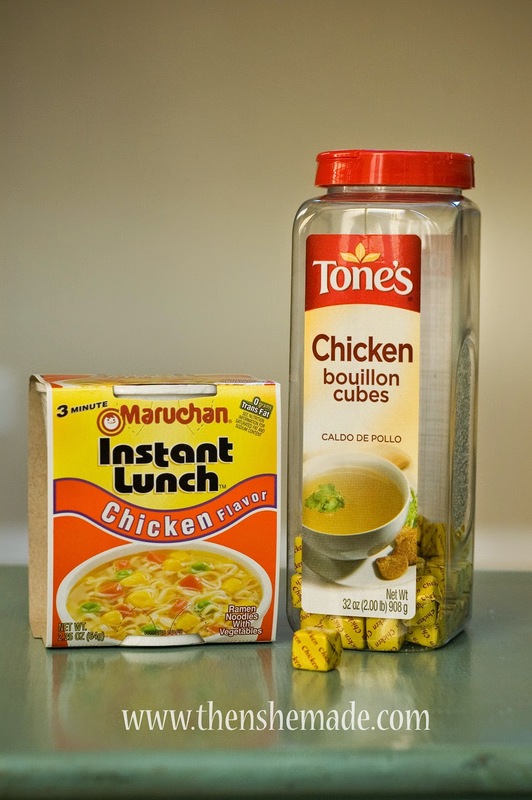 A - Cup of Noodles are way better if you drop in a bouillon cube and let the hot water dissolve it. I mean, let's be honest, these noodles are kind of bland and boring. And, yes, I know they have no nutritional value at all. And, yes, I've seen the Youtube video about what these noodles do to you during digestion BUT I still like them. And, I like them even more when you add in some flavor. Give it a try, one cube per one cup - so much better! A - Do you have toilet paper issues in your house? We do, totally! It seems I am constantly hearing "MOM!!! Can you bring me some toilet paper?!" The issue isn't that we are out of toilet paper, the issue is that someone used the last of it and then didn't put on a new roll. So frustrating. And, to make matters worse we have a couple of bathrooms that don't really have a place to store additional rolls near the toilet. So replacing the role just got even more complicated because the person has to leave the throne to grab a new role which means, "MOM!!!" - yes, I was hearing it often. 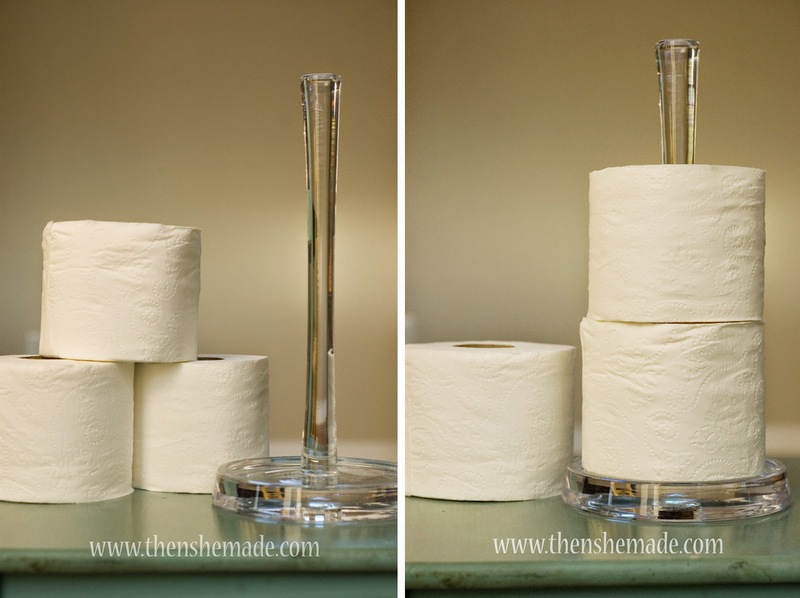 Did you know though that toilet paper storage options are kind of expensive? So, instead of buying the toilet paper storage, I bought a paper towel holder instead. I know, mind blown - right?! $7 from Target and I can put three rolls right by the toilet. And, as part of the kids chores on Saturdays, they have to restock it. I'm hearing "MOM!!!" a whole lot less now. Well, I still hear it but for different reasons. Best life hack ever! 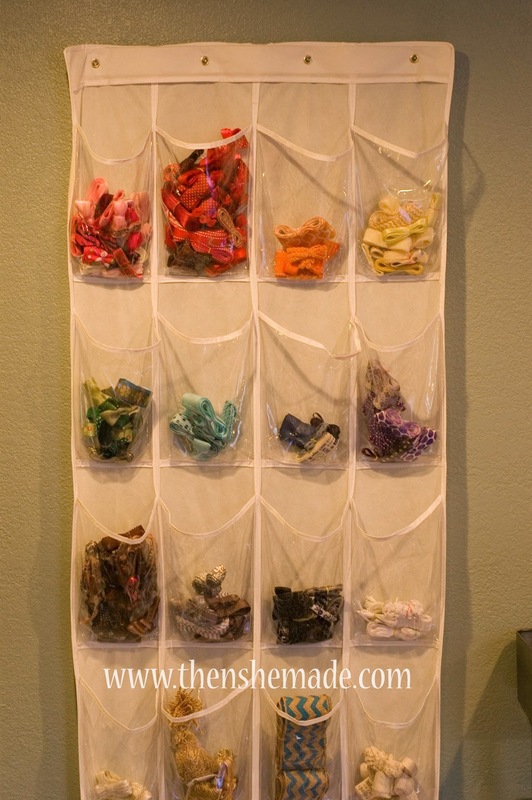 A - Over the door hanging shoe storage pockets work great for craft supplies. Specifically if you have ribbon hoarding issues like me. (sorry for the crappy picture, this is in my basement with poor light but you get the idea.) You could use these for pretty much anything. 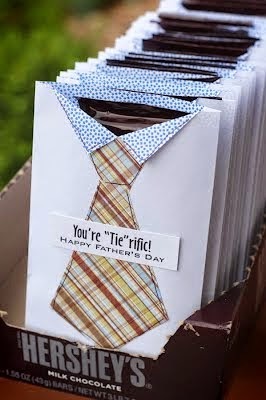 Q - Where did you get the envelopes with the polka dots on the inside? A - They are just standard security envelopes. Pretty sure I bought them in the office supply section of Target or Walmart. Q- I want to make a robot but can't find the Altoid tins, can you give me the measurements? 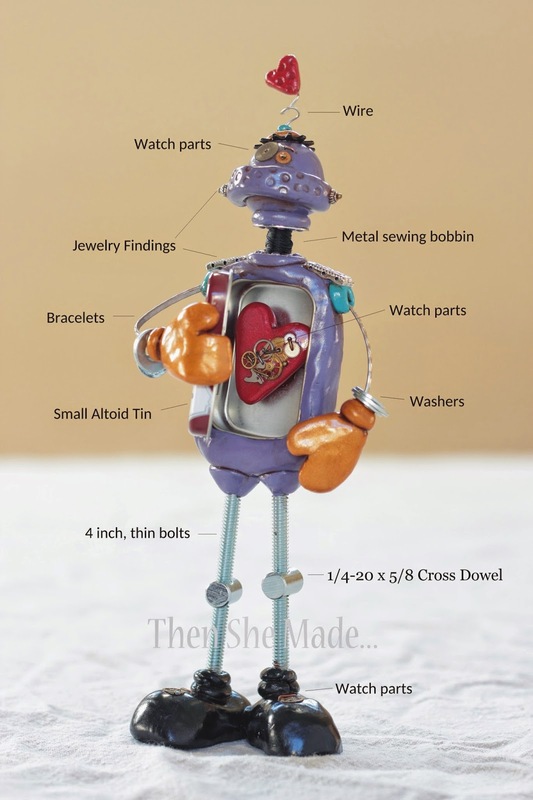 Q - I love your Robots, don't even want to try to make one myself, can I just buy it? A - Until recently I've been on the fence but the answer is now a firm, Yes! I do have one already for purchase in my Etsy shop, just one for now so it's first come first serve but I am taking orders now, too. 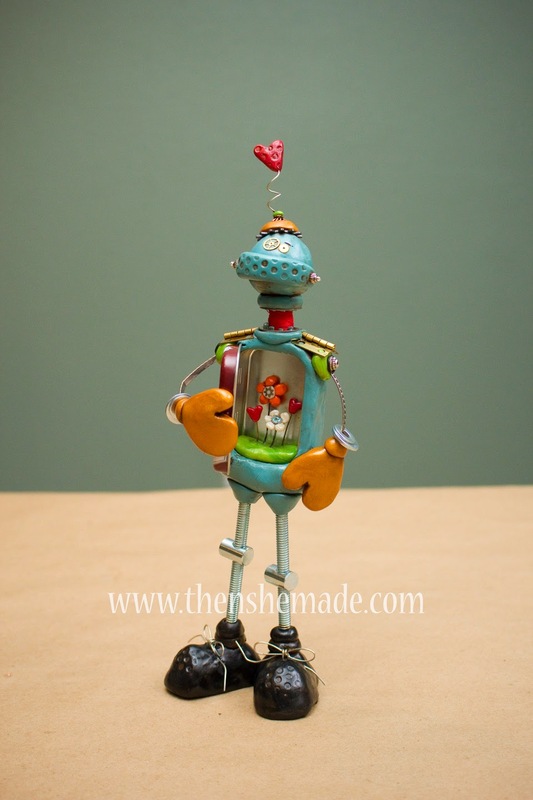 Update 2/24: the blue bot above sold last night, if you were wanting a robot, I my purple guy (shown two photos up) is available on Etsy and I am taking orders. To start a custom order, go to my Etsy shop. 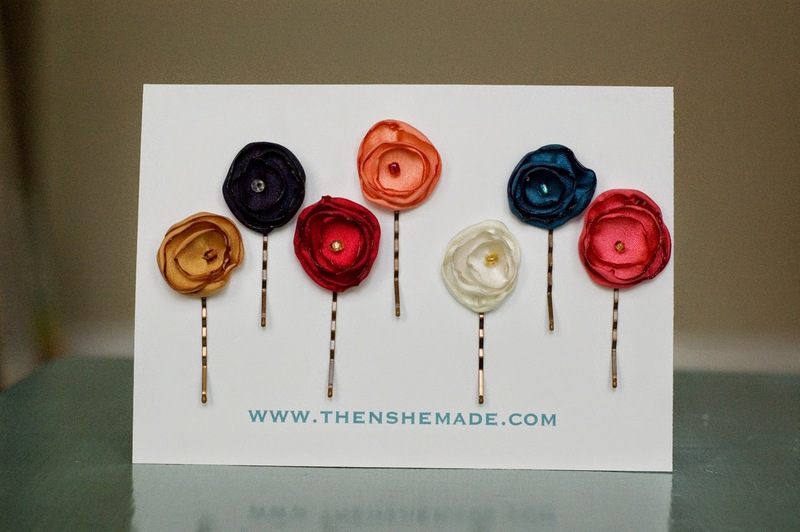 Q - Will you be restocking your flower pins? A - Yes! flowers are restocked. This time though all profits are going to the lovely Miss M. She's been working hard to earn her souvenir and food money for an upcoming trip to Europe. She has actually saved and earned the money for the majority of the trip but finds herself two weeks out and still a little short. If you wanted the flowers, now's the time to grab them plus it will go to a good cause. Q - If guinea pigs could speak would they speak with an accent? So there you have it, do you have questions for me? Ask away!